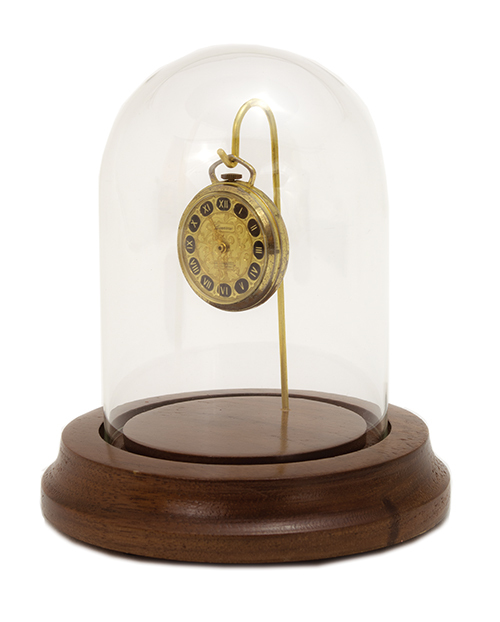 Glass dome 4-1/4" x 3" with solid wood base and brass hook for displaying pocket watch, ornament or any small treasure. Mahogany. Cas-Ker Pocket Watch Display Dome, Mahogany Wood Base. Small glass dome. Price is suggested retail, Keystone. Price listed is suggested retail and subject to change without notice. Available wholesale only to approved retailers. Call 1-800-487-0408 for current price.